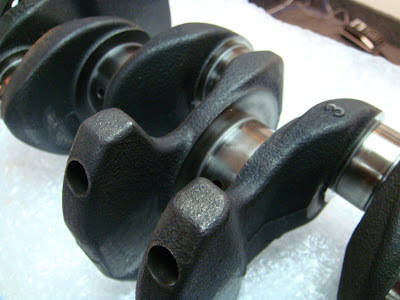 Most stock OEM steel crankshafts have been induction hardened, which is actually a low cost process in which the surface is heated by a high frequency alternating magnetic field that generates heat in the crank's surface quickly before being quenched. Because of the uneven heating and cooling due to cost saving reasons, the crankshaft hardening process creates a lot of stress within the crankshaft. 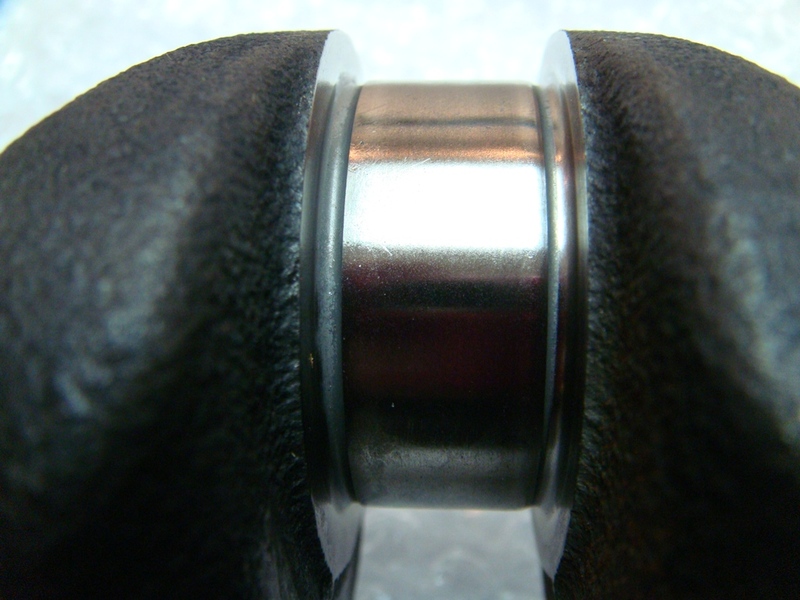 While it is an ideal hardening process for stock applications, but it is really less then favorable for high performance/racing applications. Hence, we had the stock 1NZ-FE crankshaft sent overseas to be nitride coated and its now back and ready for us to assemble it along with the engine rebuild. Nitriding is a chemical hardening process in which the part is heated in a furnace, the oxygen is vacuumed out, and nitrogen is introduced which penetrates the entire surface. The result? An extremely hard surface which will give us a peace of mind when we increase the rev cut to well over 8,000+ RPM, allowing us to stay at the redline level without any worries even under hard boost. If you're wondering what was the material used, its titanium aluminium carbon which gives the black surface you are seeing in the pictures. Read more about it here. 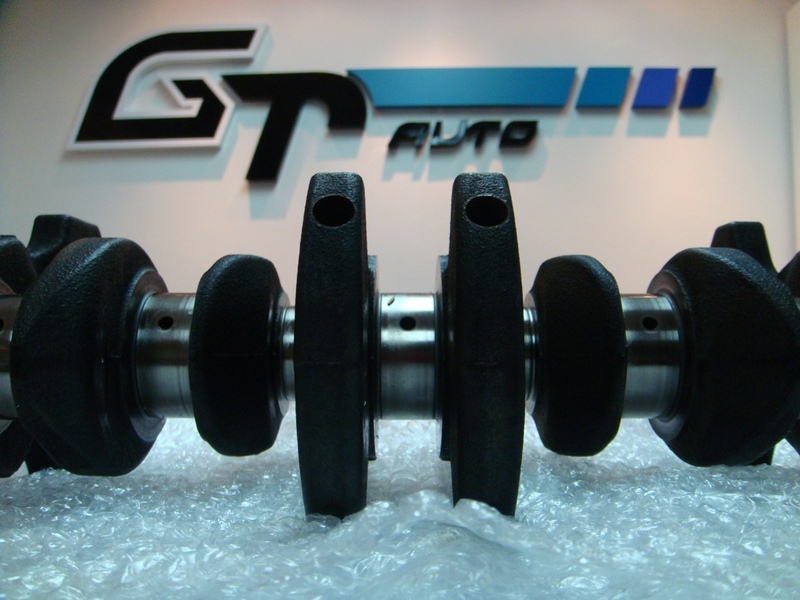 We also took this opportunity to have the crankshaft journals micro polished, a process where the surfaces are made clean and smooth so that it reduces the friction, allowing the rods to spin a lot more easier and faster. Usually when a NA and Turbo frequently redline while driving, what is the component that will be damaged easily as they cannot withstand the pressure? paul, the short answer is everything. however, different engine will have different characteristics. for example, SR20s are well known for their rocker arms to snap before other components let go. as for the 1nzfe engine, the most common we've seen is rod snapping and the valve springs bouncing after 7,000 rpm. Whom will be balancing the lower end rotating assy for you? OK. Pls make sure mine gets balanced too! which pic did you see the cut? as far as we know, there isn't any work done to the crank to reduce any mass nor anything. I know nothing about car accessories and engines but I can see that it is truly clean and well polished. Good job! Maintaining car accessories and parts should be done if you want your car to last long. The new super crank from TBR would of been a nice add on. 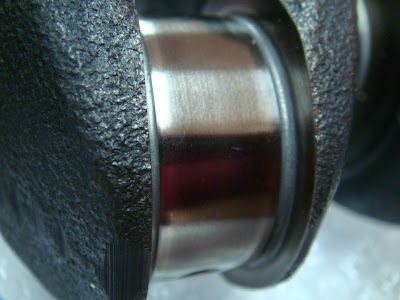 It's knifed-edged, 3 pounds lighter, shot pined, polished and oil holes rechamfered for better oil flow. it's really great to know that we have so many people developing parts for the 1nz-fe. how many rpm do you think it can take ?? ?